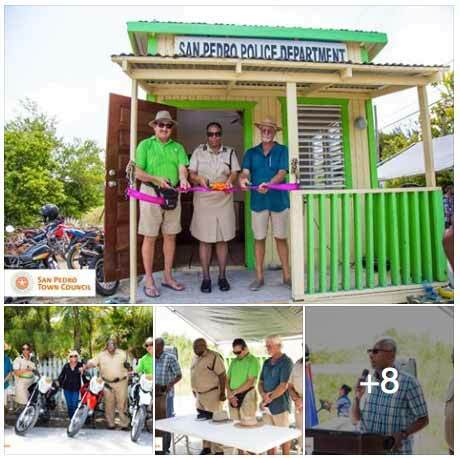 The San Pedro Police Department (SPPD) officially inaugurated the relocation and reopening of its new Northern Ambergris Caye Police Substation on Tuesday, May 2nd. Located half a mile north of the Sir Barry Bowen Bridge, the substation will not only serve as the central police station for North of Ambergris Caye, but it will also render applicable police services to all community members and businesses in the area. Officer in Charge of the Eastern Division, Assistant Commissioner of Police Dezerie Philips gave the opening remarks. “Today is a significant day in San Pedro. Every time we inaugurate and open a police booth, it is a huge step we take. This booth was further up north, but we changed the location to meet the policing demands. Crime is everybody’s business. We need everyone to come on board with us to ensure we can do our best to serve our communities,” said Philips. 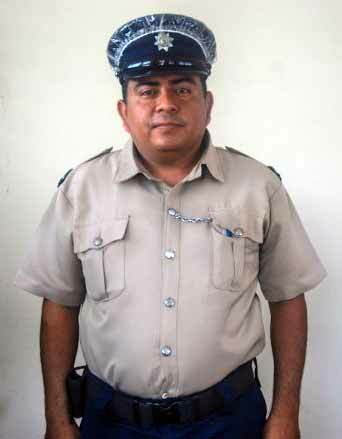 PC Nestor Campos has been assigned to the new North Ambergris Caye Police Substation. Jemmott explained that Campos is fit to take on all of the roles and functions that have been allotted to him, and he is optimistic that he will keep Northerners safe. 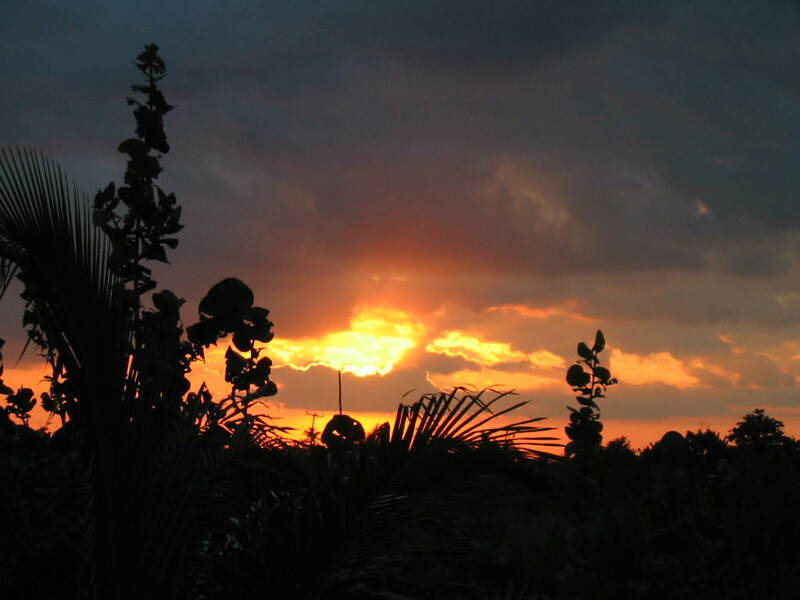 In striving to become more community-orientated, Campos will also start touring North Ambergris Caye in order to get familiar with the area. He also plans on conducting more check-points, visiting all surrounding establishments, and alleviate general crime in the area. In addition, the SPPD stated that more police substations will be placed in key areas to continue their efforts to combat crime. Campos will be on duty from 7AM to 7PM, and can be reached at 667-4220 or 226-2022. I dont see the helipad? 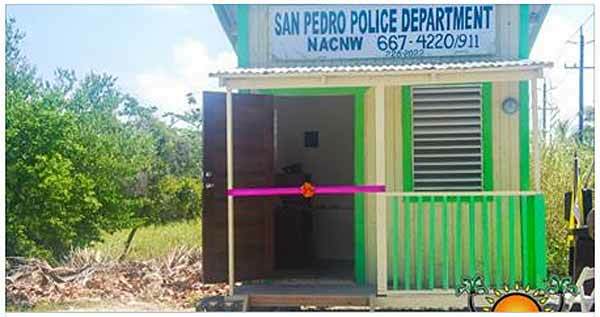 On Tuesday, May 2, 2017, the North Police Department Sub Station was officially inaugurated and re-opened! Master of Ceremonies, PC Harris Gabourel, initiated the ceremonies with the National Anthem of Belize which followed by an invocation by Pastor Clive Welsh, who prayed for guidance upon our leaders and officials. Following the invocation, Officer in Charge of the Eastern Division, Assistant Commissioner of Police, Desiree Philips gave the opening remarks at the event, where she expressed her sincere appreciation for the interest of both the local authorities and the residents/business owners of the area in allocating the finances to finally have a substation in the area. She strongly stressed that the Police Department and the community should come together in the efforts to end crime in the island. Mayor Daniel Guerrero was invited to the podium for his remarks, where he expressed his enthusiasm for this much needed substation in the North area of the island, now that it has become more popular to tourists and locals alike. Guest speaker Rob Eykelbeysh, President of North Ambergris Caye Neighborhood Watch (NACNW), also gave a few words of appreciation. He was very excited that the substation was now re-opened and looks forward to working with future endeavors to further assist the Police Department in keeping the neighborhood safe. Officer in Charge of the Coastal Executive Unit for San Pedro and Caye Caulker, Assistant Superintendent Henry Jemmott gave the closing remarks, where he acknowledged the presence of the substation will help in reducing crime in the area and will also facilitate residents and tourists alike in making reports when and if they need to. After the speeches, the cutting of the ribbon followed to officially inaugurate the substation. And lastly, after the ribbon cutting ceremony, the San Pedro Police Department was presented with three motorcycles, two of them which were donated by the SPTC and and one donated from the NACNW. The officers gave a demonstration as they rode off to town for patrol in their new bikes! Clarification - funding for one of the motorcycles came from four resorts in the Middle Island Neighborhood Watch (MINW) area plus one anonymous donor (location unknown). It can be confusing to know which group is which ....... although our work clearly overlaps, and we collaborate well. MINW is from Journey's End/Las Terazzas going north to ..... top of the island, but most actively up to X'tan Ha. THIS IS GREAT - It would have been greater if members of NACNW had been notified/invited. My care taker went by and saw the set up and called and asked me if I was supposed to be at a meeting. 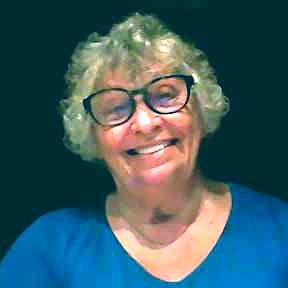 I called Scott Harnish, past president of NACNW, and talked to Jodie who said they had just heard about it. There was no announcement made to the general membership. Do we have subset of "IN" people up here? Some of us worked real hard 'back-in-the-day" to get that built in such a way that it could be moved. Enough said - Yes, I am vexed. OC Jemmott said that he posted a notice about the event on the NACNW Facebook page. I checked just now and didn't see the notice. Might want to see if that site is working ..... Nobody was trying to leave anybody out and no reason to be vexed. Communication problems. It would have been wonderful to have had a bigger turnout. I never heard of a Facebook page. I did go in an closed a bunch of NACNW yahoo groups leaving two open. Who ever has the list of names to be added I would love to have it and get them entered. Then MAYBE we can get some communication going.